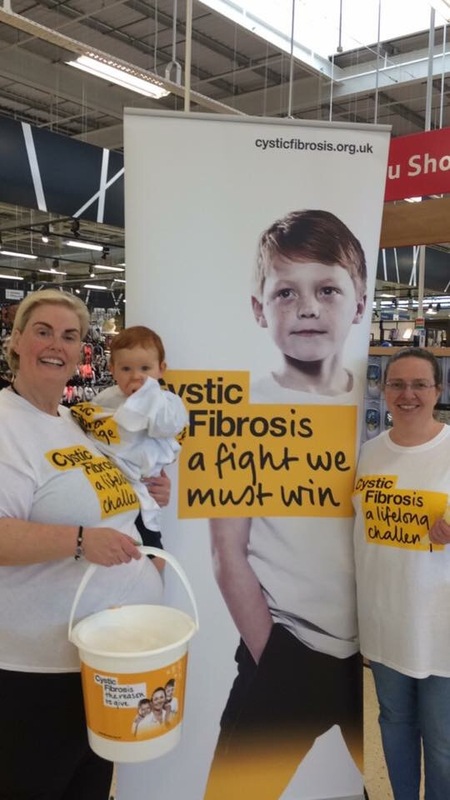 Last week I arranged a bag pack in our local tesco store in aid of Órla’s memorial fund which goes to The Cystic Fibrosis Trust. It was a bit scared because although I had helped in many bag pack I hadn’t organised one myself. I felt it was a bit like organising a party where your not really sure who will show up and whether it will be a success or a flop. When I first asked my friends I got a lot of yes of course n definitely some check nearer the time but I was confident I would have at least 10 plus people to help me out. I didn’t want to take up too much of their time so I decided to collect during the hours of 4pm – 6pm which I hoped on a Friday evening would be pretty busy. When the day arrived I was let down by several people (not naming names) and it really showed me who my real friends are. I learnt a valuable lesson from this task one which I will not forget in a hurry. We managed to raise a lovely £700 towards Órla’s memorial fund which I was so grateful for and I chatted to some really lovely people along the way. The public’s generousity never ceases to amaze me. I got to talk about Órla a lot which always makes me happy. Would I do it again? Yes definitely. Ouch it hurts when we feel let down, but well done on orgainising this. It’s one thing to give your time but very different to actually do something yourself, especially a cause so close to your heart. It’s very personal then. Regardless of being let down you raised a great sum of money and how lovely to spend time speaking of Órla.